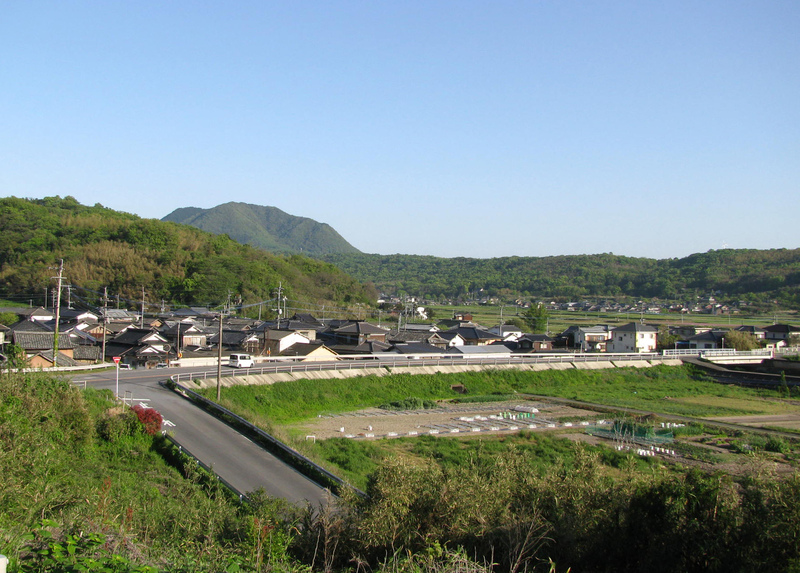 surrounding countryside up to the Kuju mountain range clearly visible in the distance. 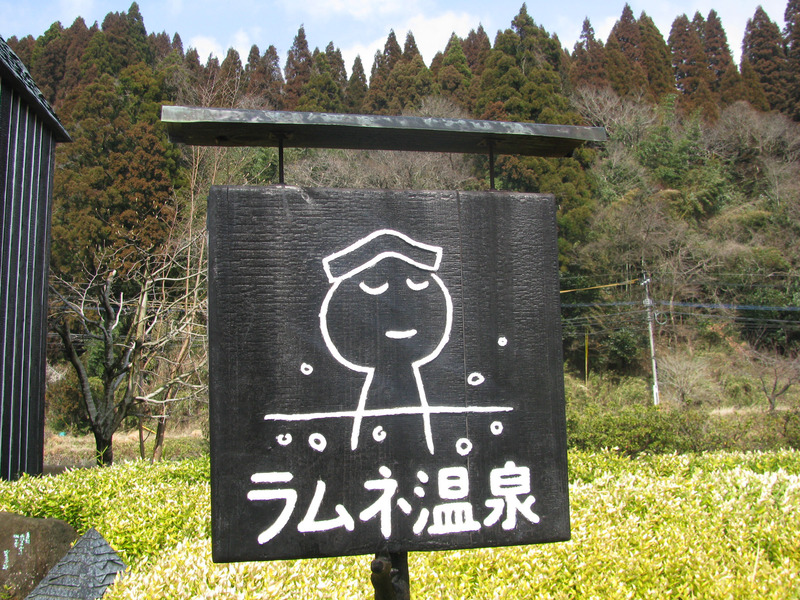 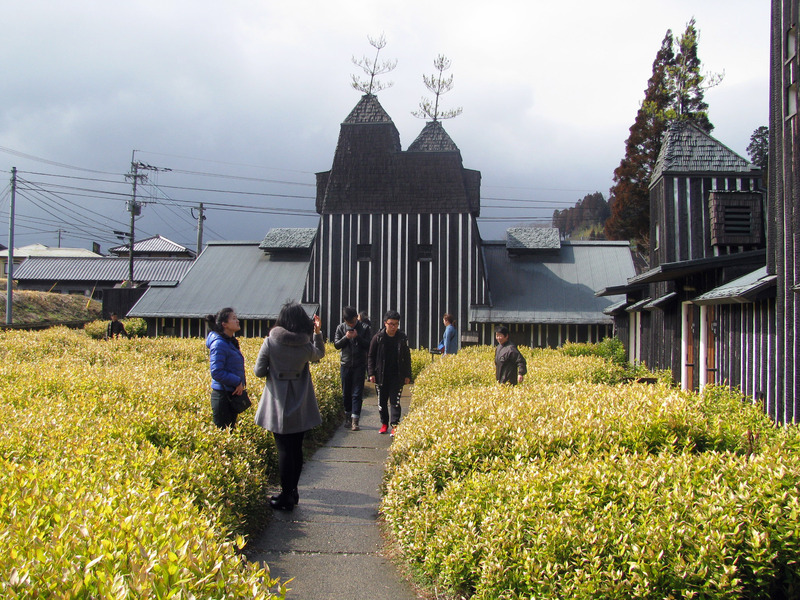 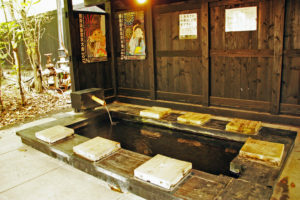 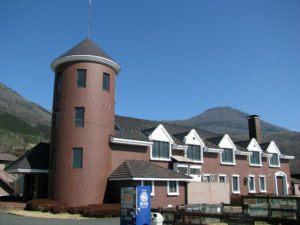 A tranquil Onsen Resort at Waita mountain foot of 1,000 metre altitude. 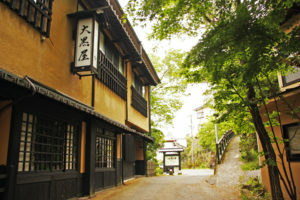 are 30 Japanese style accommodations called Ryokan in there. 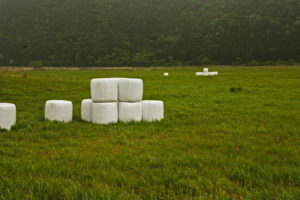 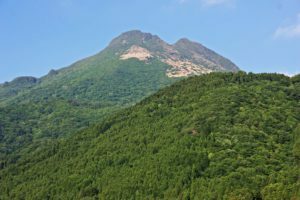 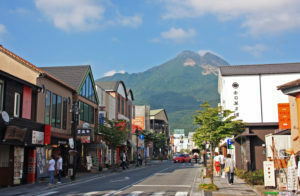 The Handa kogen Plateau is located in the southern part of Kokonoe-cho, Kusu-gun. 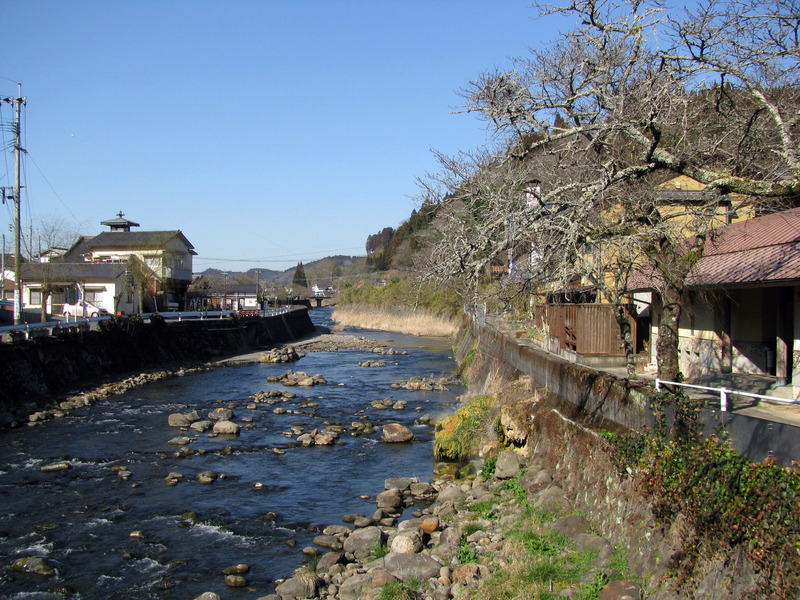 In the Ogata River, running through the center of the Ogata plain in Oita Prefecture. 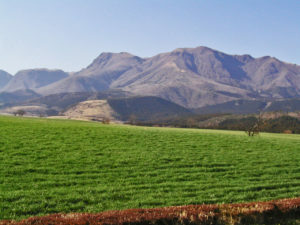 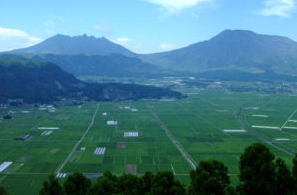 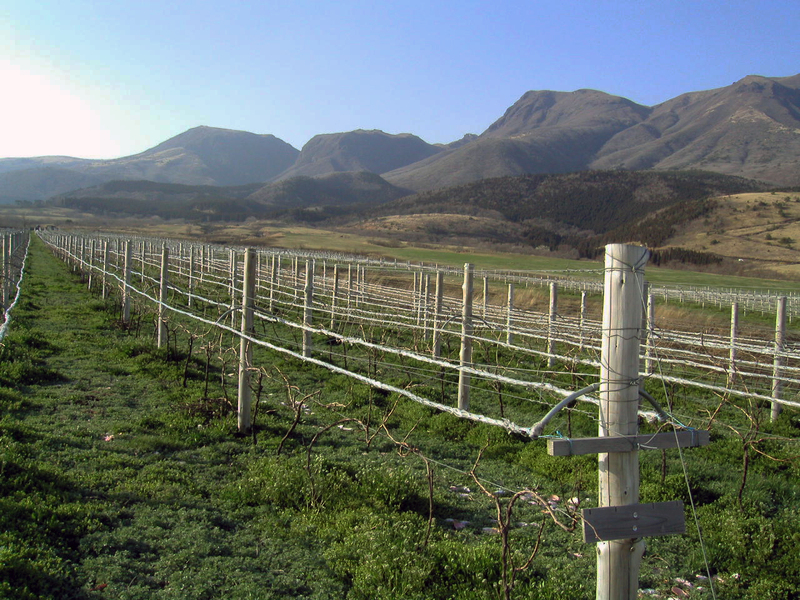 the northern part is surrounded by Aso & Kuju Mountains. 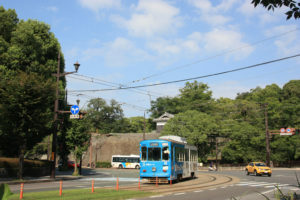 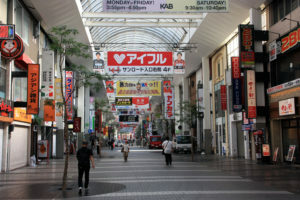 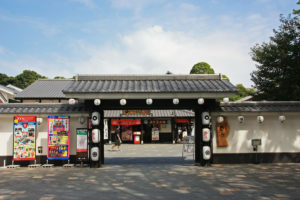 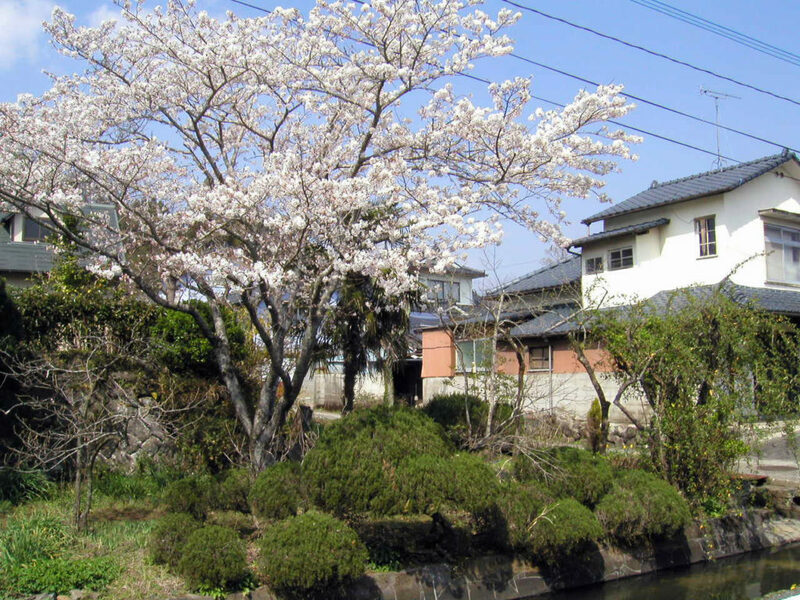 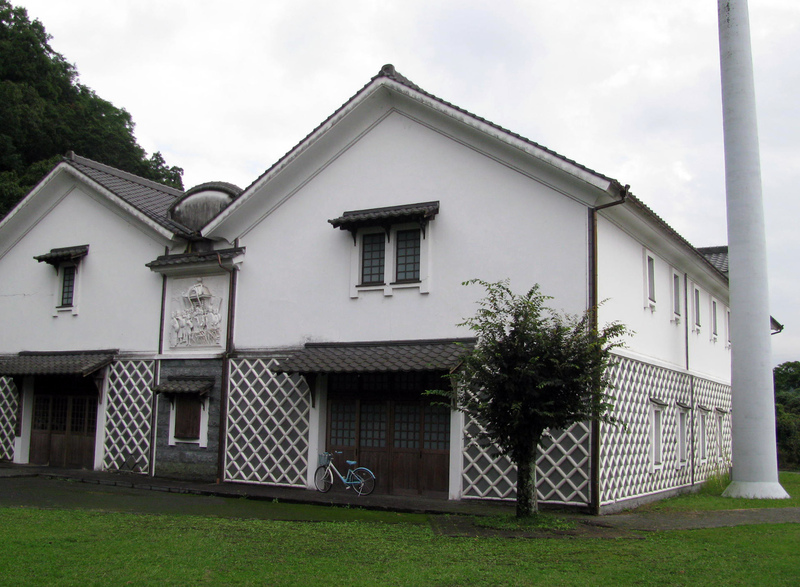 Bungo-ono and Ogawa are located in the southern part of Okubungo. 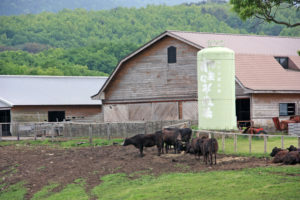 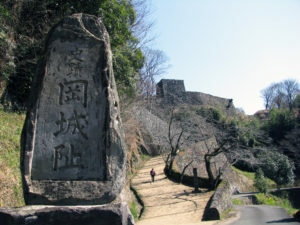 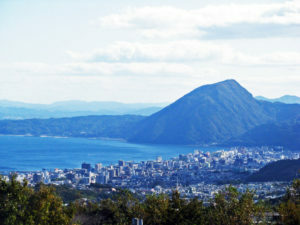 Kusu and Kokonoe are located in the south-west side of Okubungo. 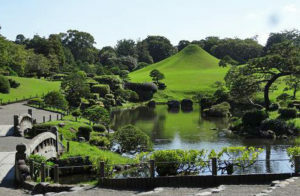 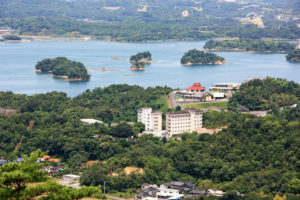 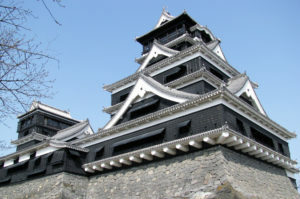 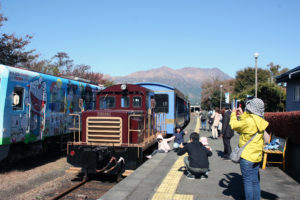 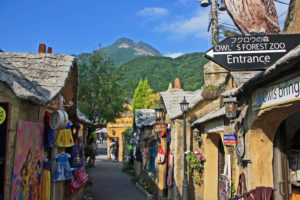 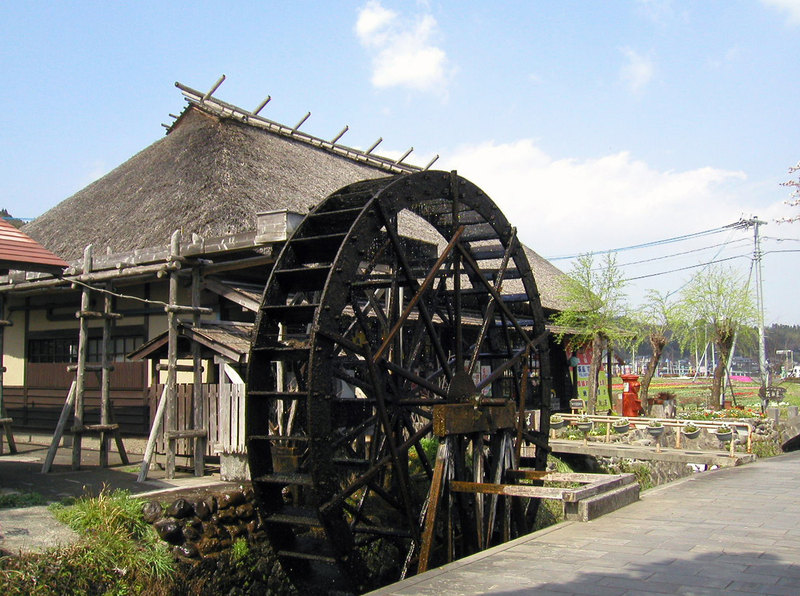 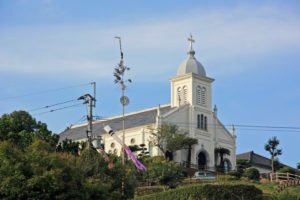 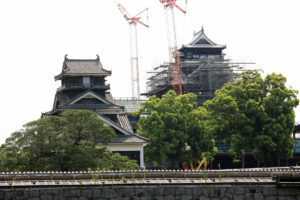 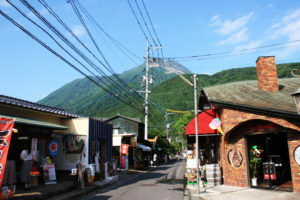 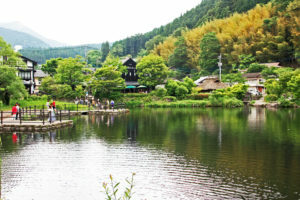 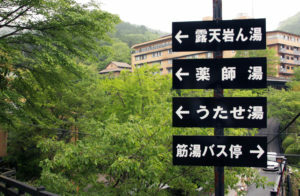 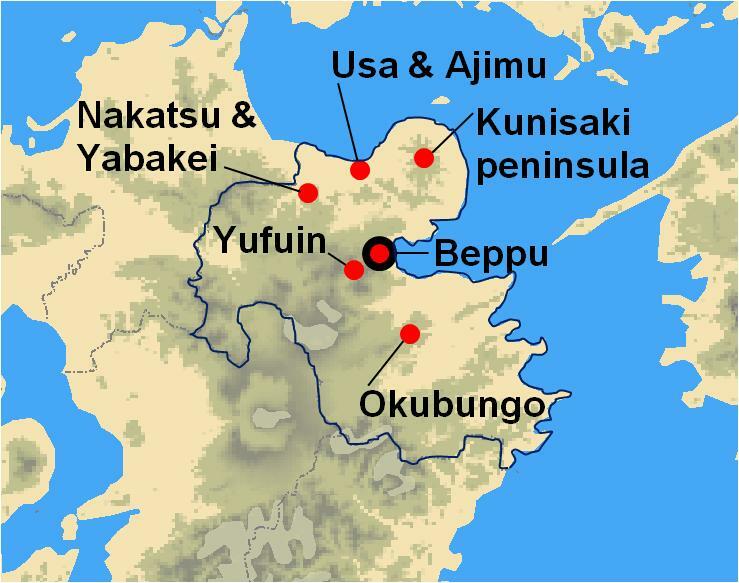 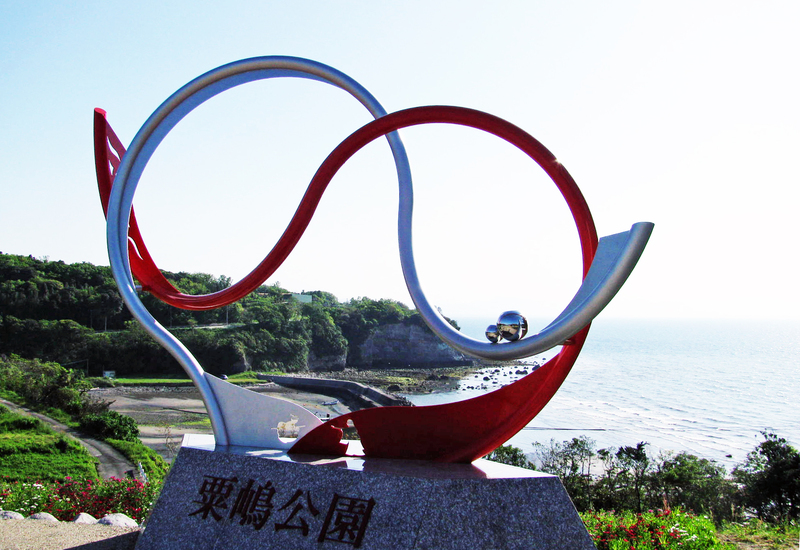 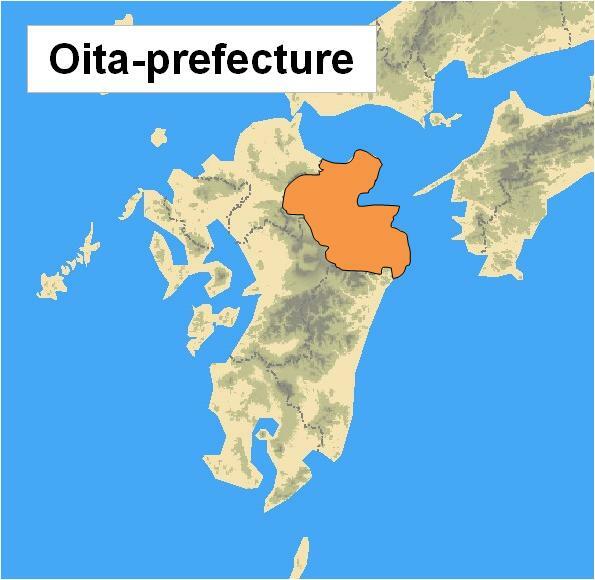 a nice sightseeing spot connected to Beppu Onsen and Yufuin in the north and Aso in the south. 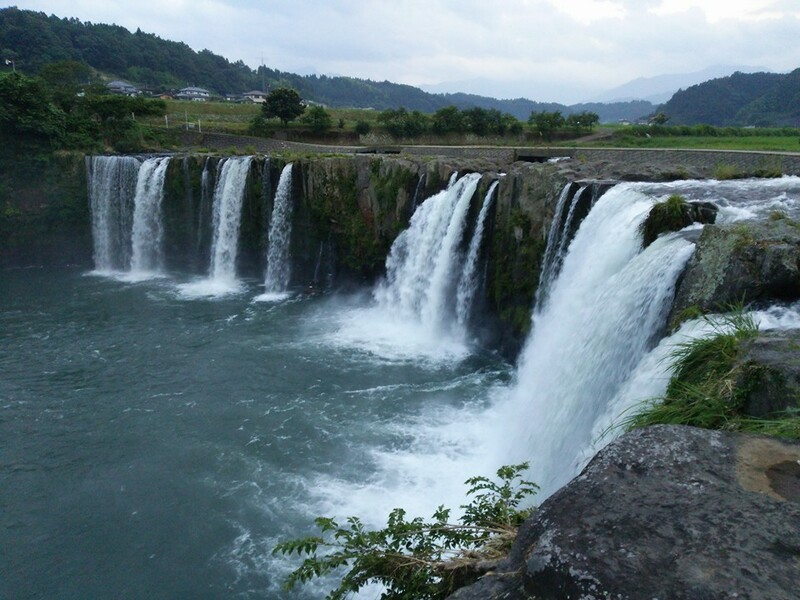 It is called Niagara Falls of Japan. 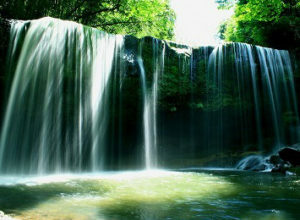 down a cliff and creates Harajiri Falls. 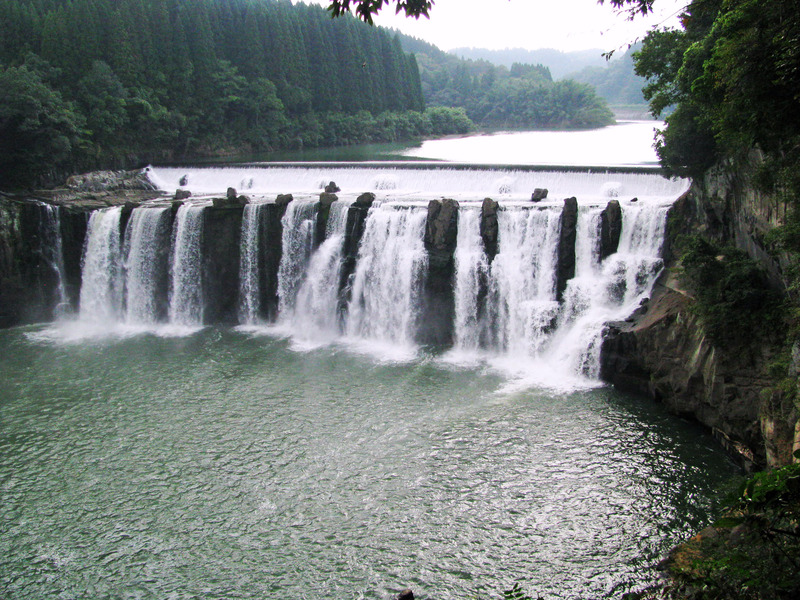 The falls, 120 meters wide and 20 meters tall, are selected as one of the best 100 falls in Japan. 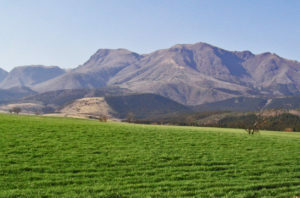 Lava flows produced by the great eruption of Mt. 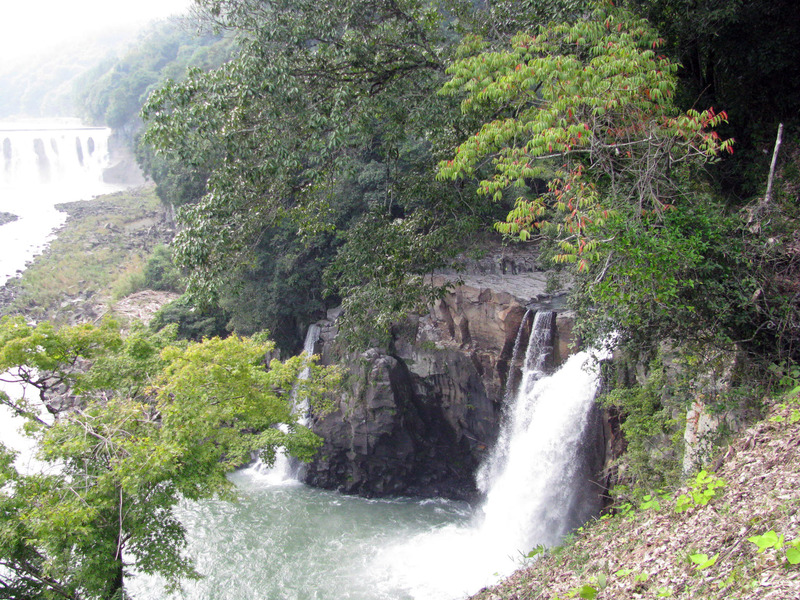 Aso accumulated and created Harajiri Falls. 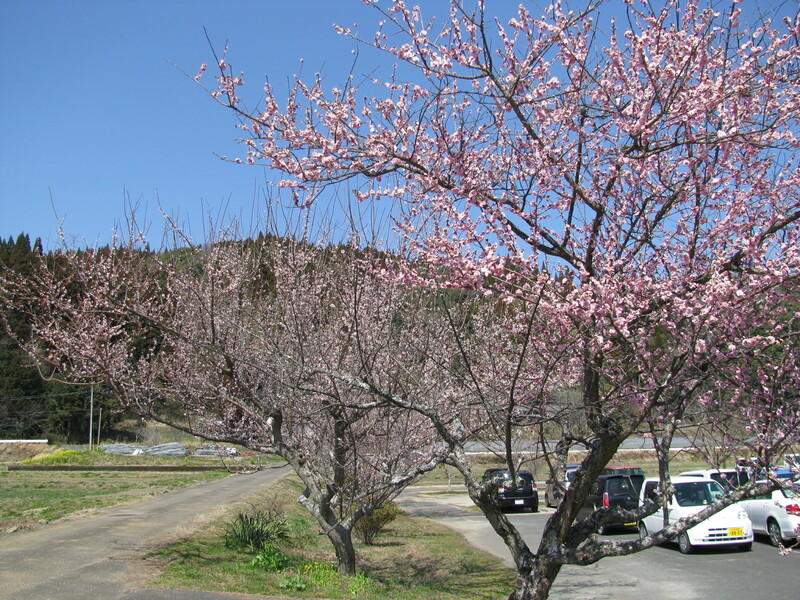 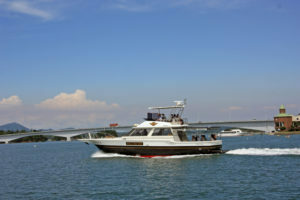 The best season to visit here is in the spring and can enjoy beautiful cherry blossoms. 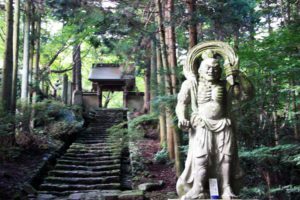 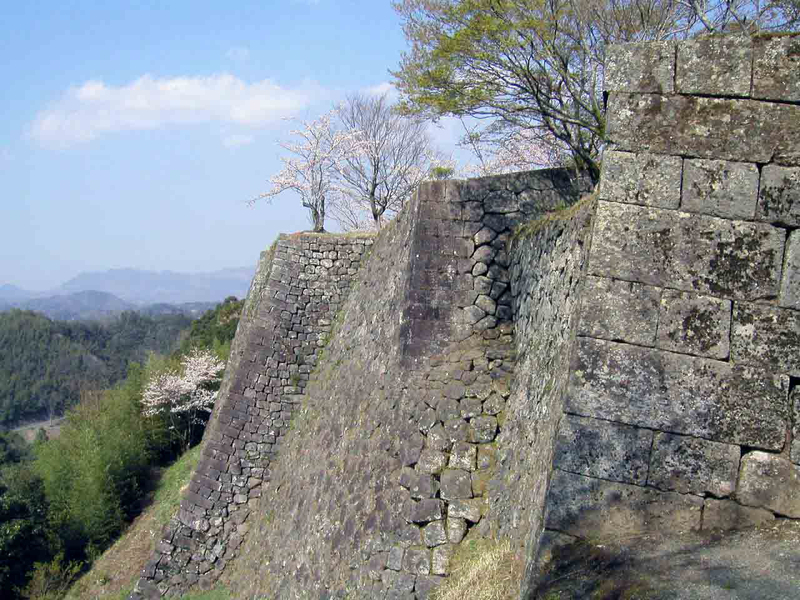 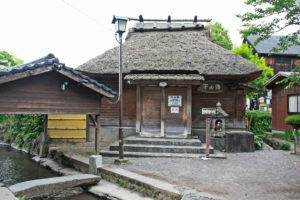 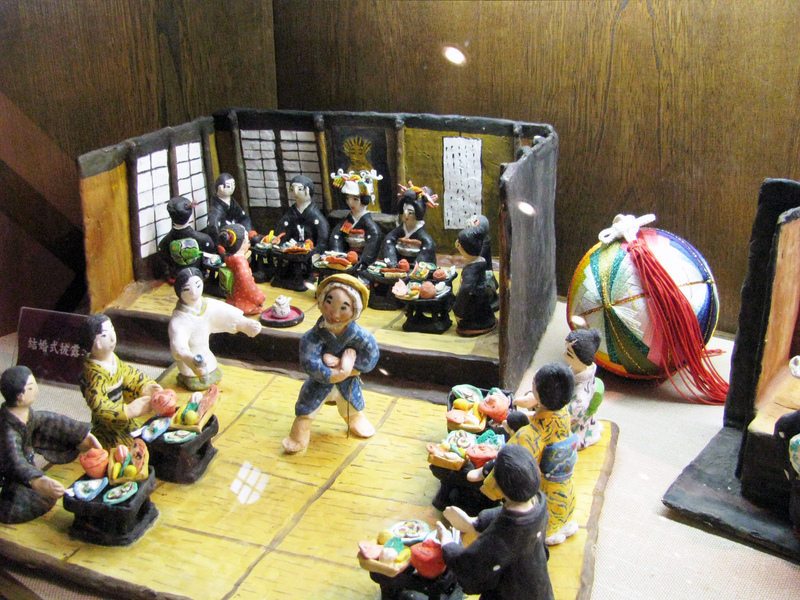 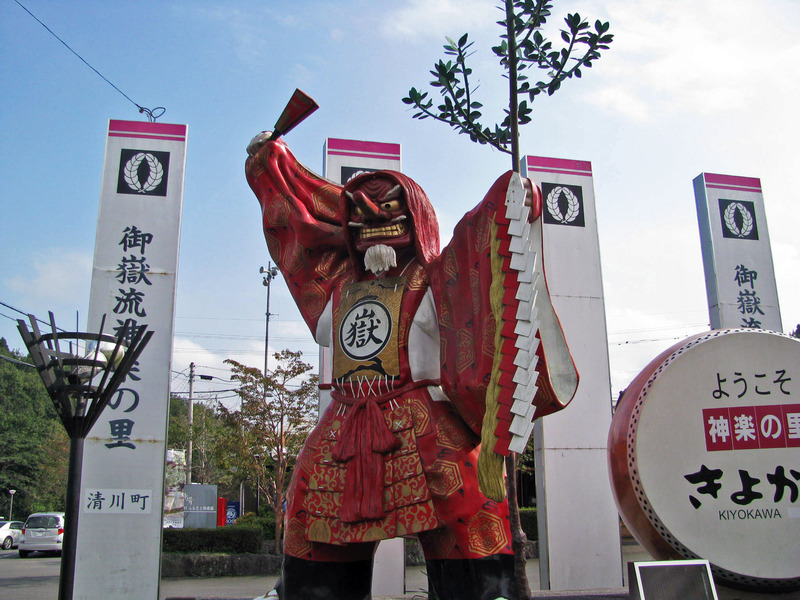 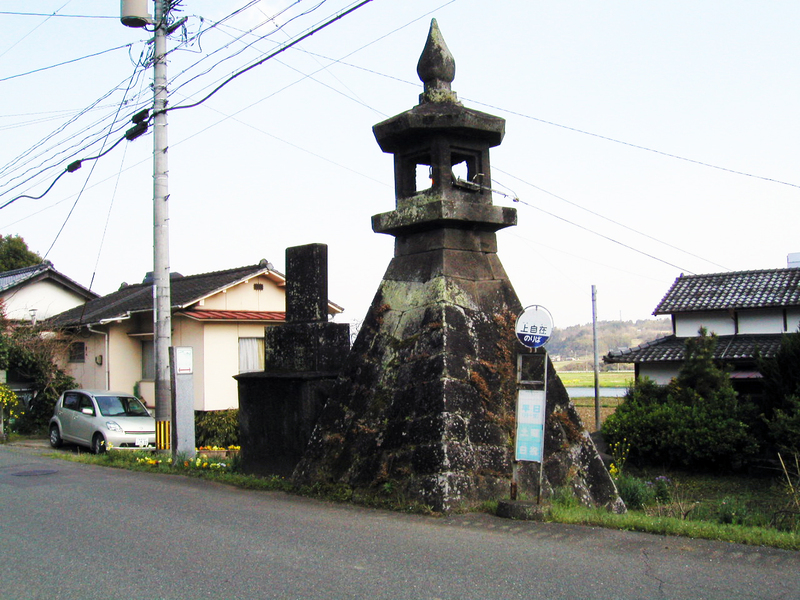 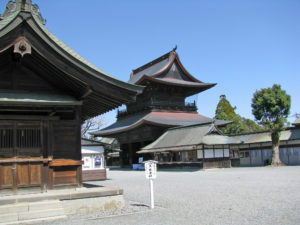 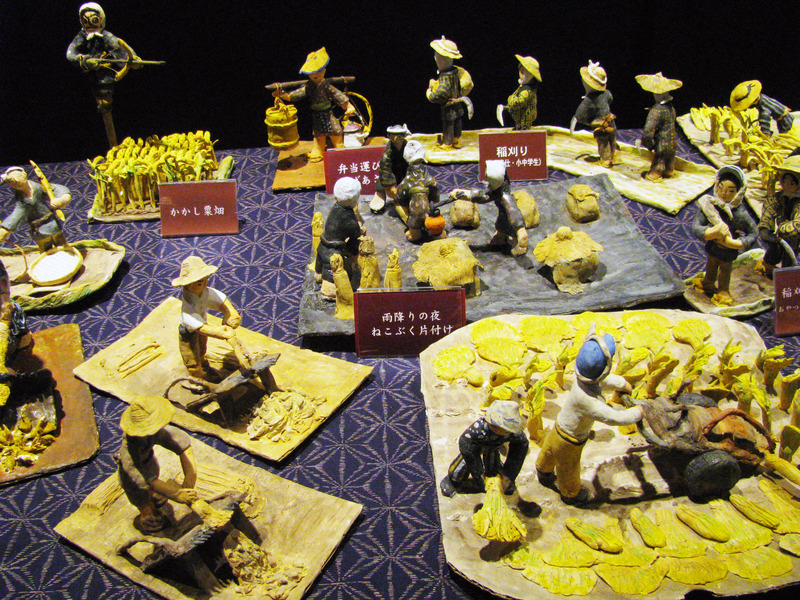 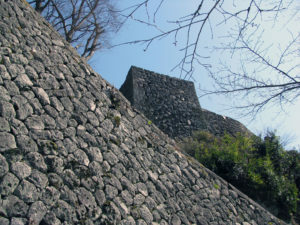 With many historical sites including Samurai residences of the olden day, Takeda. 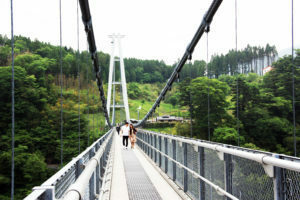 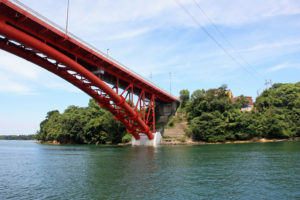 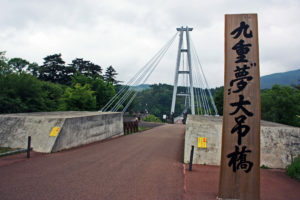 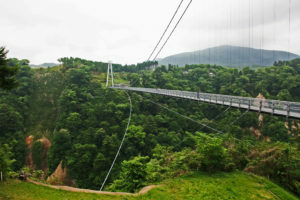 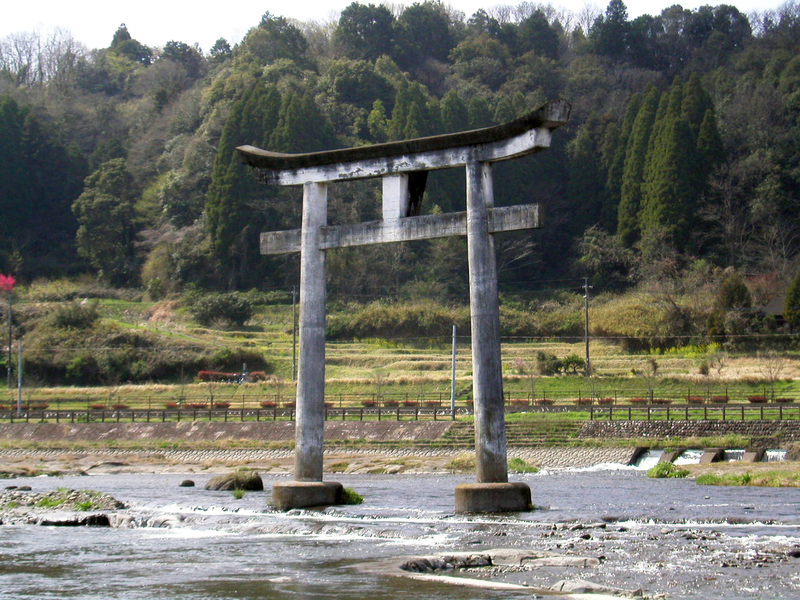 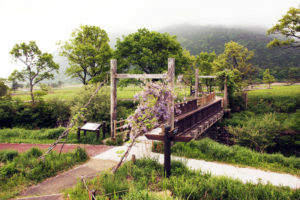 The bridge is located in Kokonoe near Yufuin.